This cookie is the reason I learned to bake. There was always an ill-fitting lid on a beat-up plastic storage container in the fridge full of this dough, or a plate of oatmeal cookies wrapped in thrice-used aluminum foil on the table. 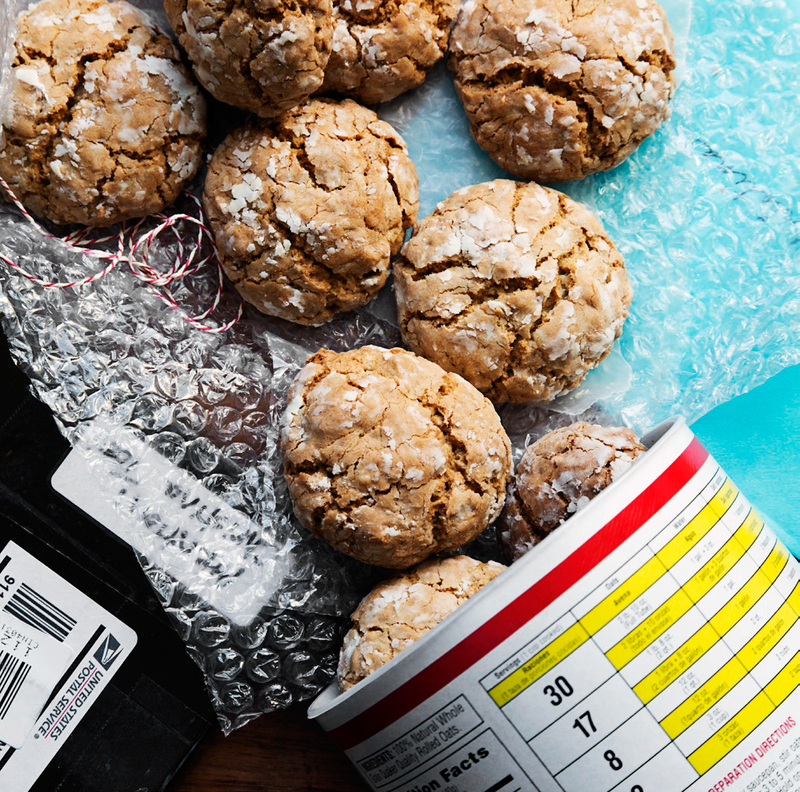 With great care, my grandma rolled every ball of dough in confectioners’ sugar for a perfectly crackled finish, but she could never figure out why these cookies inspired the crazy in people. When he was away at college, my Uncle Dan would lie to his roommates and tell them the white stuff on top was mold, just to hoard a few more for himself. Preheat the oven to 375°F/190ºC. Combine the butter, brown sugar, and granulated sugar in the bowl of a stand mixer fitted with the paddle attachment on high and cream together until light and fluffy, about 3 minutes. Add the eggs and vanilla and mix until incorporated, about 1 minute. Add the flour, oats, cinnamon, salt, baking soda, and coconut, if using, and mix until just combined, about 30 seconds. Put the confectioners’ sugar in a small bowl. Scoop and roll the dough between your palms into golf-ball-sized balls. Toss in the bowl of confectioners’ sugar until completely covered and arrange the cookies 2 to 3 inches apart on a greased or parchment-lined baking sheet. Bake the cookies for 9 to 10 minutes, until golden brown and crackled. Let cool completely on the pan. See more of Christina Tosi’s creations at Milk Bar.